My Dream Store is an online store that offers you stylish bags, colourful phone cases, fashionable hoodies, graphic tees and more. This e-shop is a crowd-funded platform, the first of its kind in India offering exclusive customized items. Here you can design products and make it available for your social media followers, family members, and friends at a certain price, of course. Creating a product and putting it up for sale is pretty easy on this website. All you need is invent the designs and products using the customization studio provided by My Dream Store. My Dream Store takes care of creating, shipping, and delivery, as well as providing customers with vouchers for additional discounts. Valid for orders over Rs. 699. Use the given coupon code at checkout to avail the deal. Valid for orders over Rs. 499. Use the given coupon code at checkout to avail the deal. Applicable to trends apparels only. The offer spreads on orders over Rs. 300. Unless your order is under Rs. 300 shipping charges will cost Rs. 50. Valid for orders over Rs. 599. Apply the coupon code at checkout to avail the deal. The offer spreads on orders over Rs. 699. Use the coupon code at checkout to activate the deal. 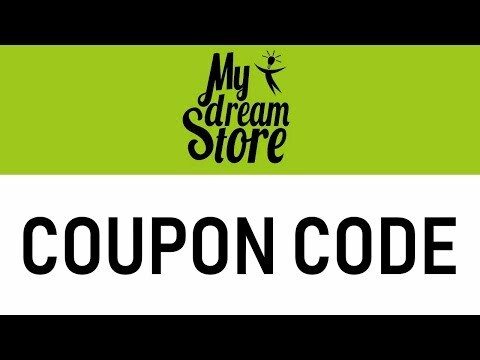 How to use My Dream Store coupons? 3. On the details page, personalize your item by selecting the size and color, and then click on the “Add to Cart” button. 4. On the cart page, click on the “Place Order” button to proceed. 5. On the checkout page, you will see the coupon code field in the cost summary section to your right-hand side. 6. Paste or type the coupon code you have obtained in the coupon field and then click on the “Apply” button to avail the code.